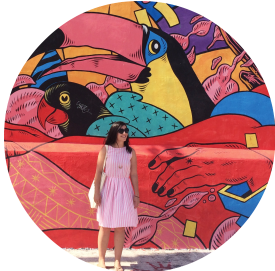 The Neon Museum had been on my bucket list for years, so I was so excited to finally make it there during our trip to Las Vegas this summer. 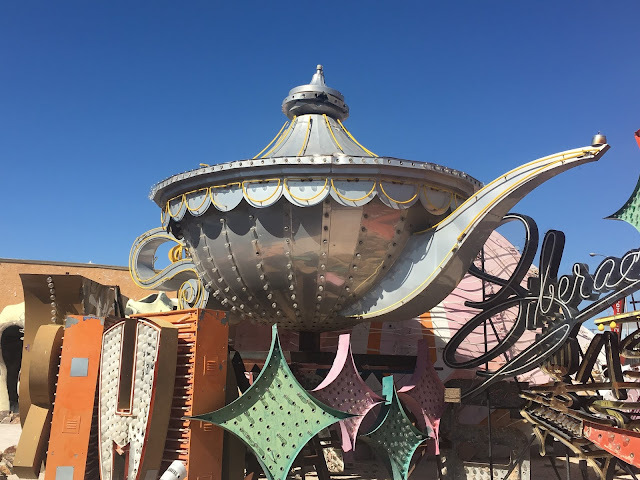 We booked tickets in advance over a month ago (they sell out almost every day) and took the 8:30am tour (we said later that the 8am tour might've been better, since it was already so hot). 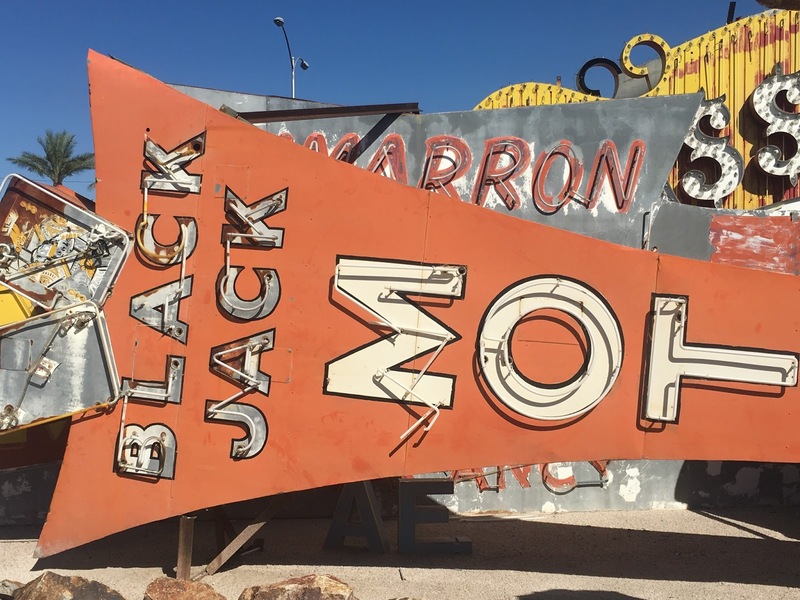 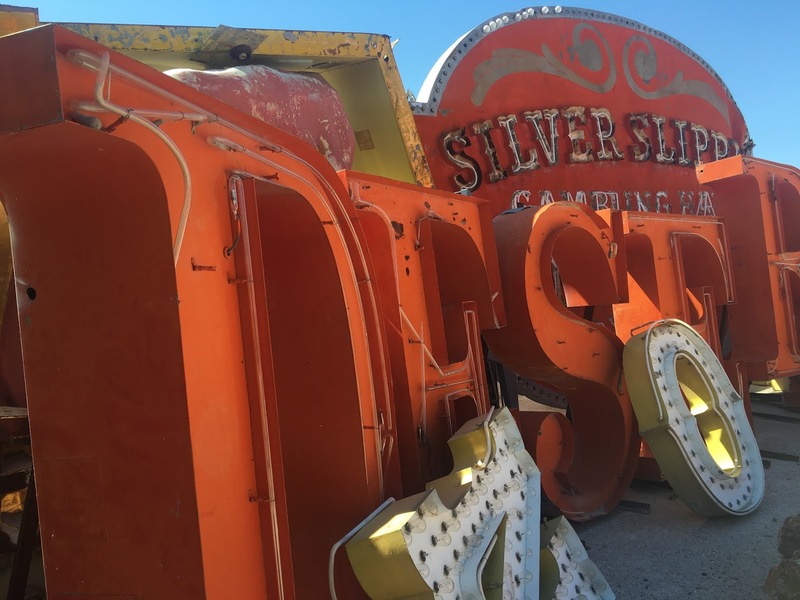 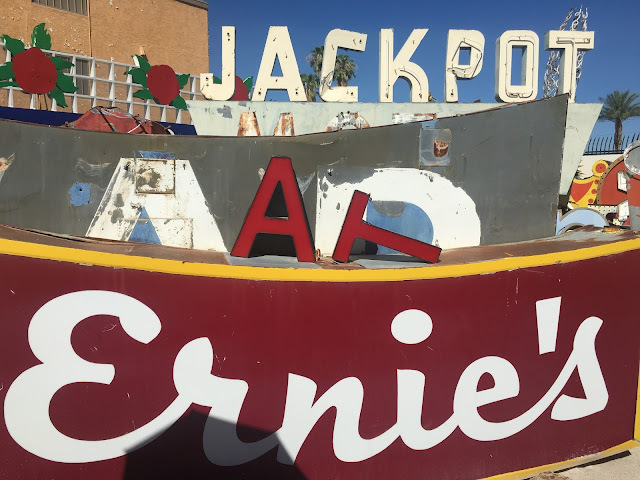 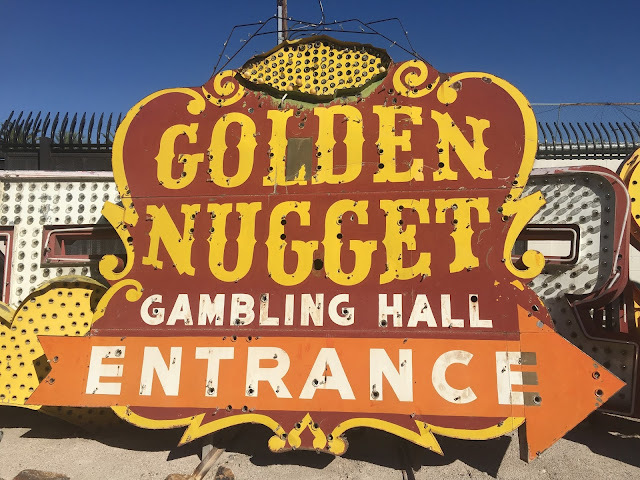 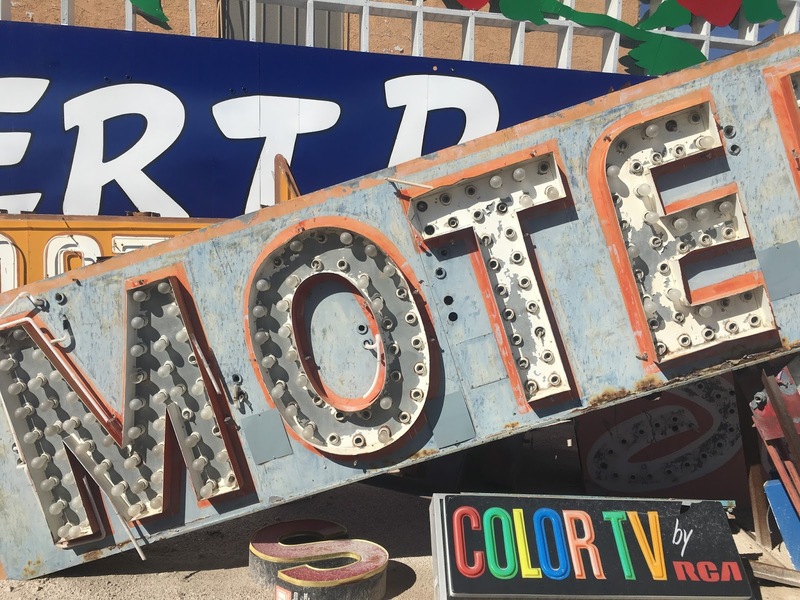 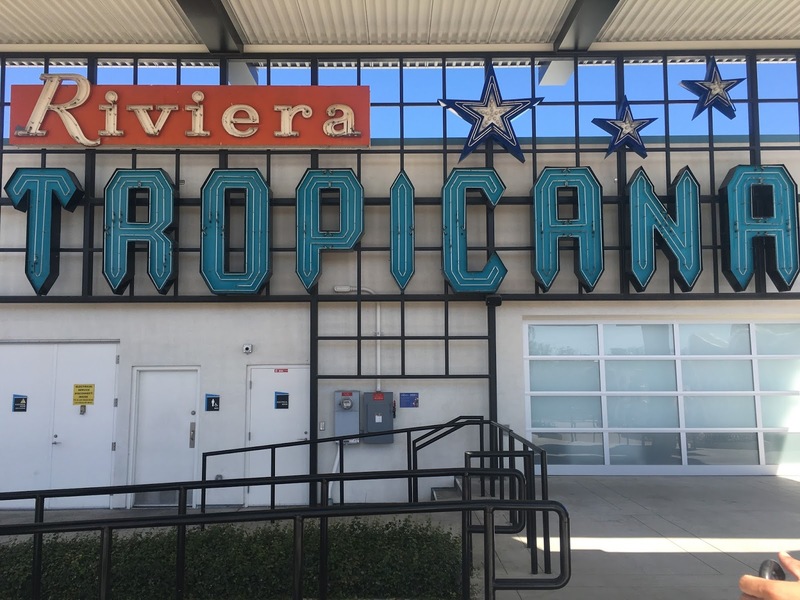 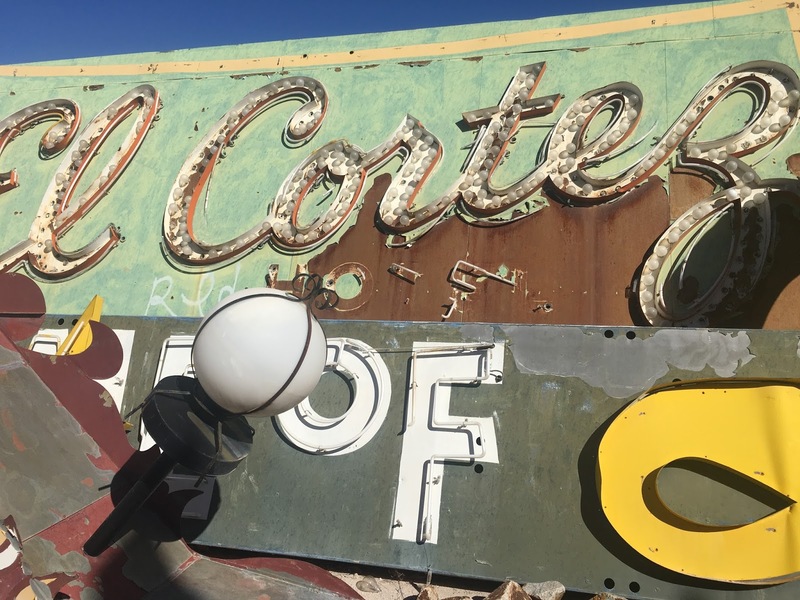 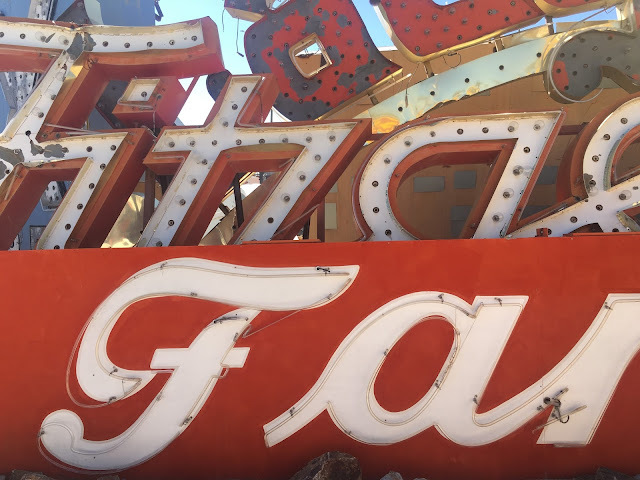 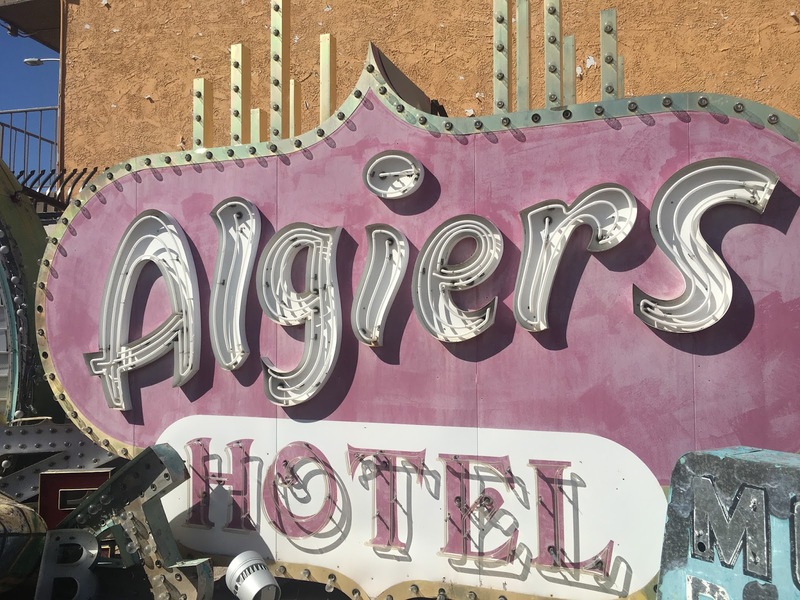 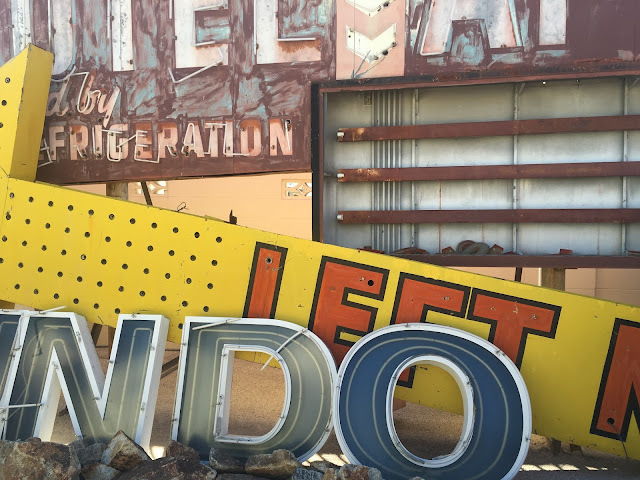 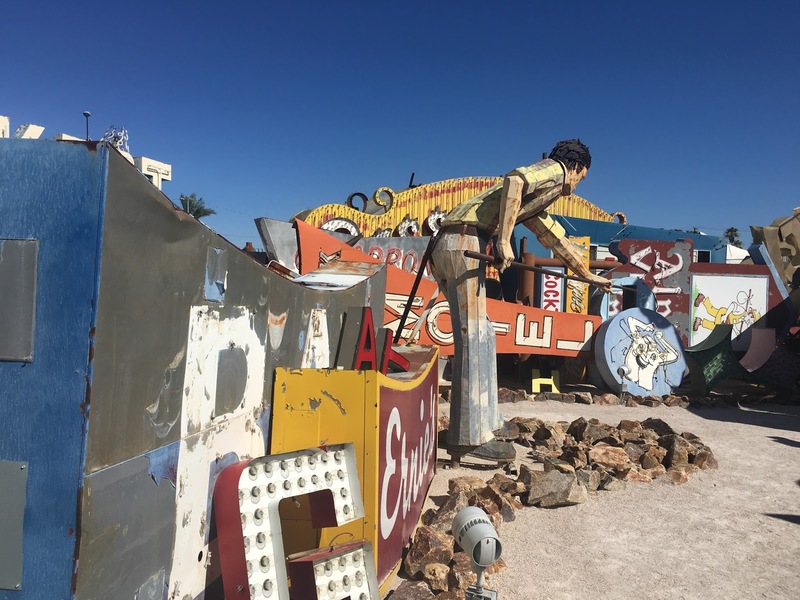 The museum collects, preserves, and exhibits iconic Las Vegas signs. Its layout and organization are really clever and beautiful. Our tour guide distributed umbrellas for shade and walked us through the pathways, telling us all about city's history and growth, the famous sign-makers and designers, and the technology and artistry behind these beauties. My brain short-circuited from an overdose of typefaces and letterforms and neon tubes and the sun-faded glitz of this ridiculous town. 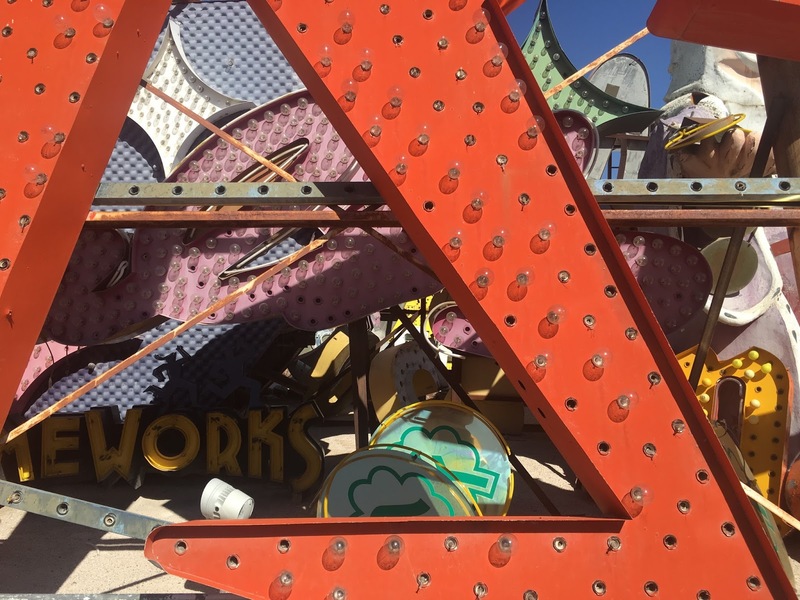 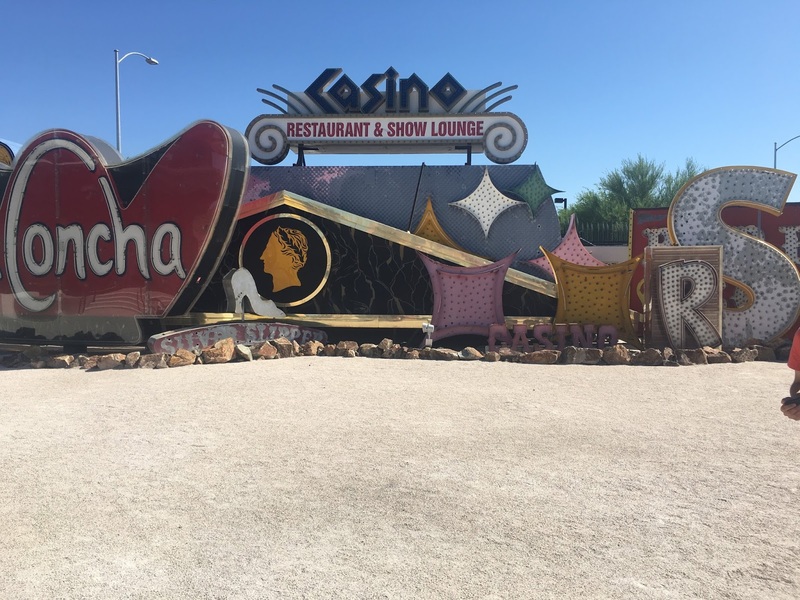 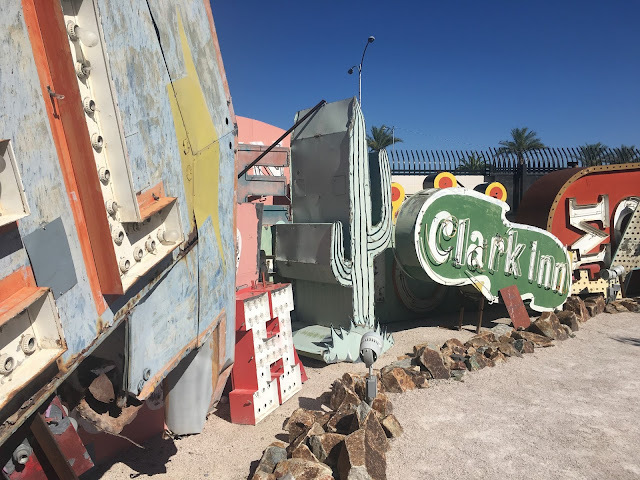 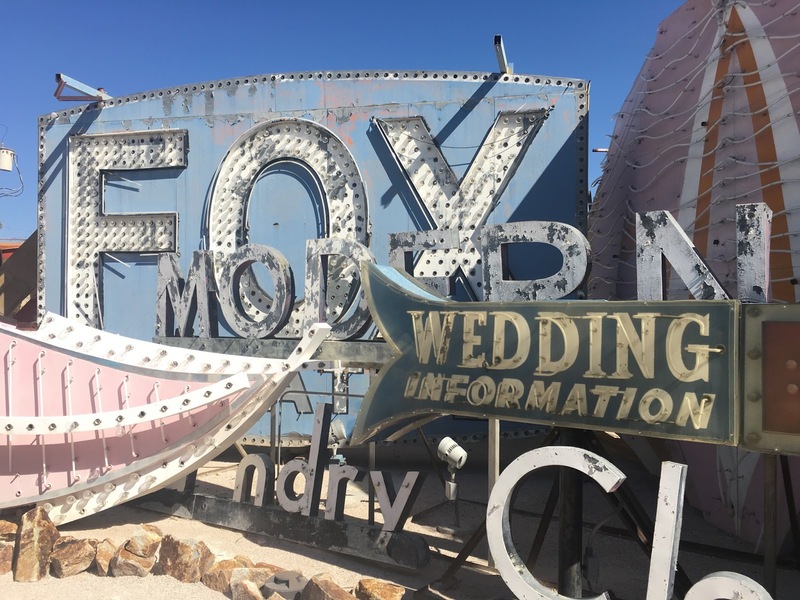 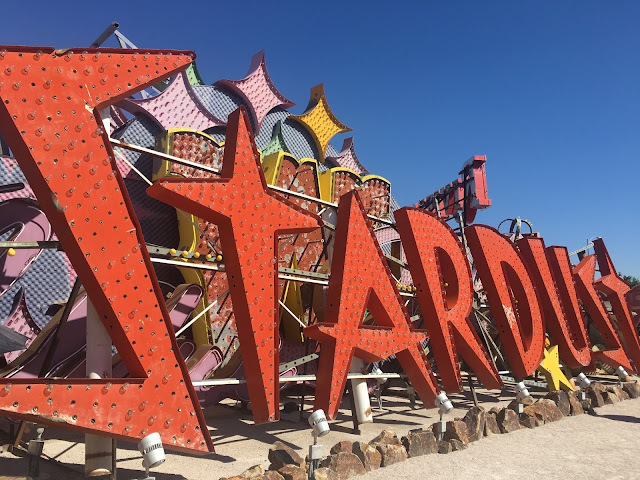 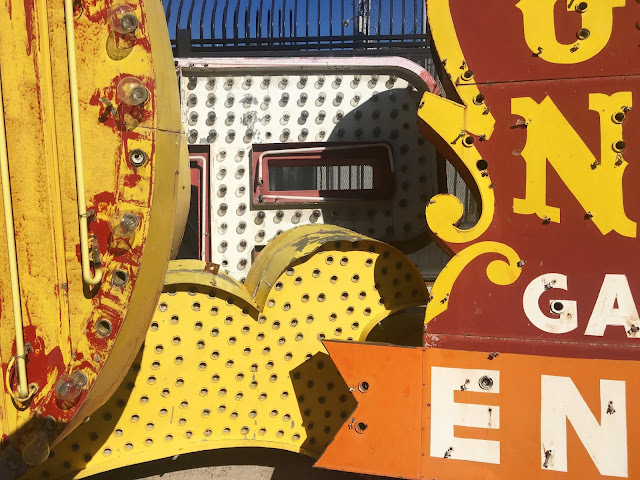 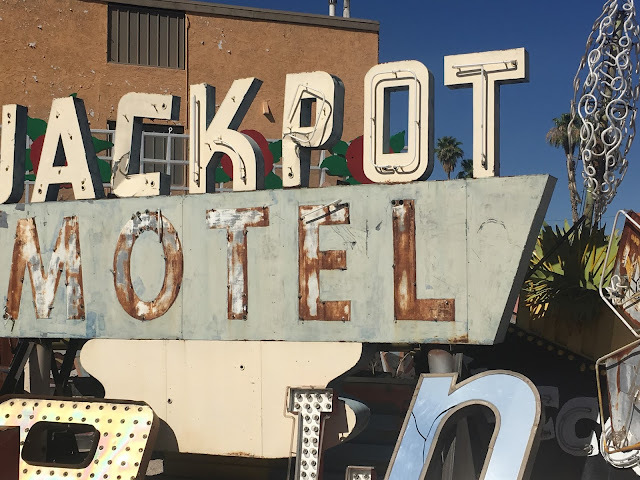 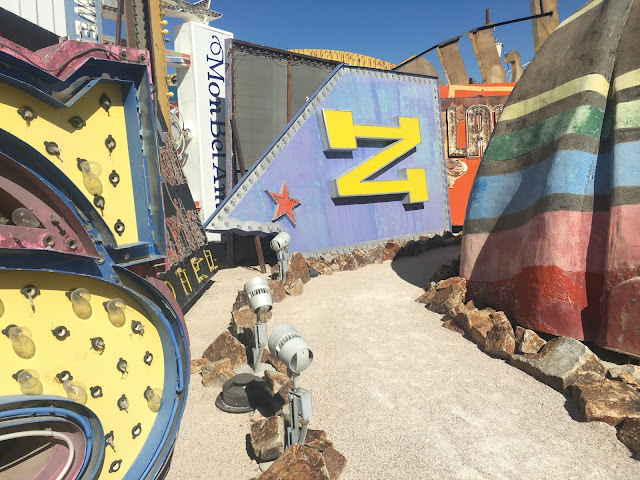 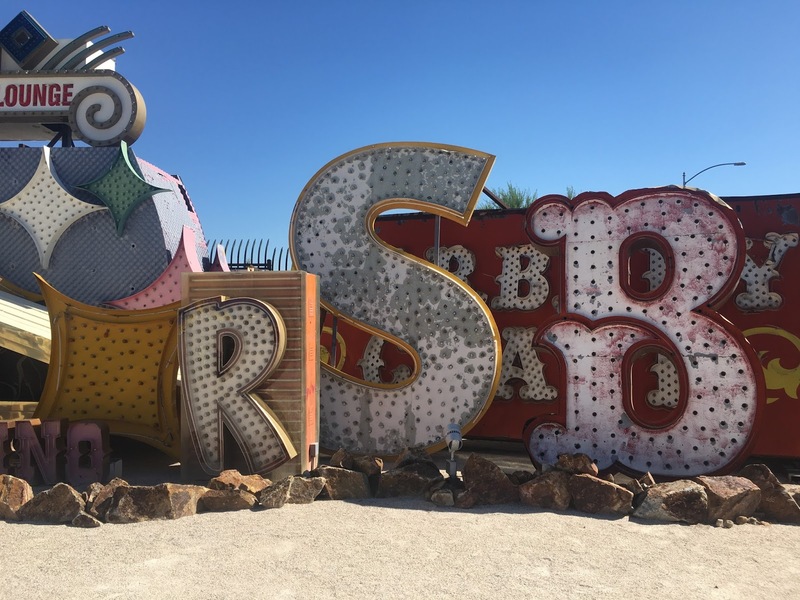 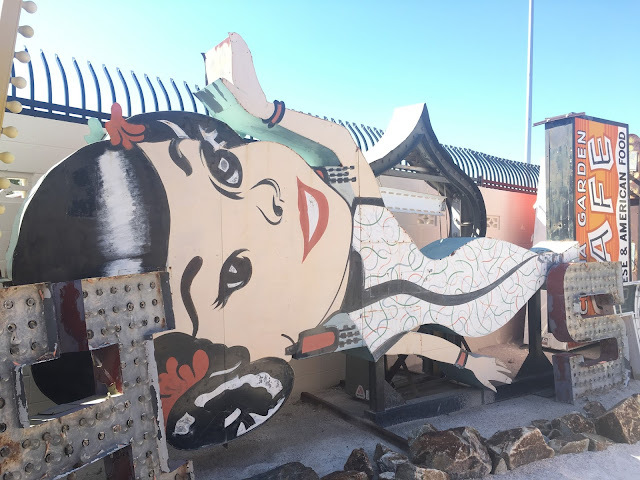 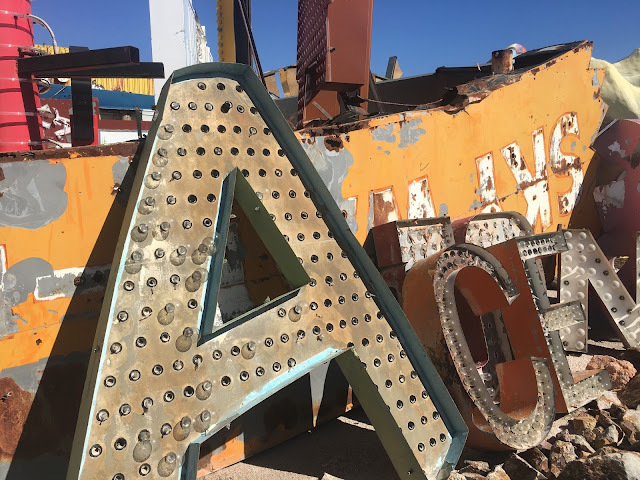 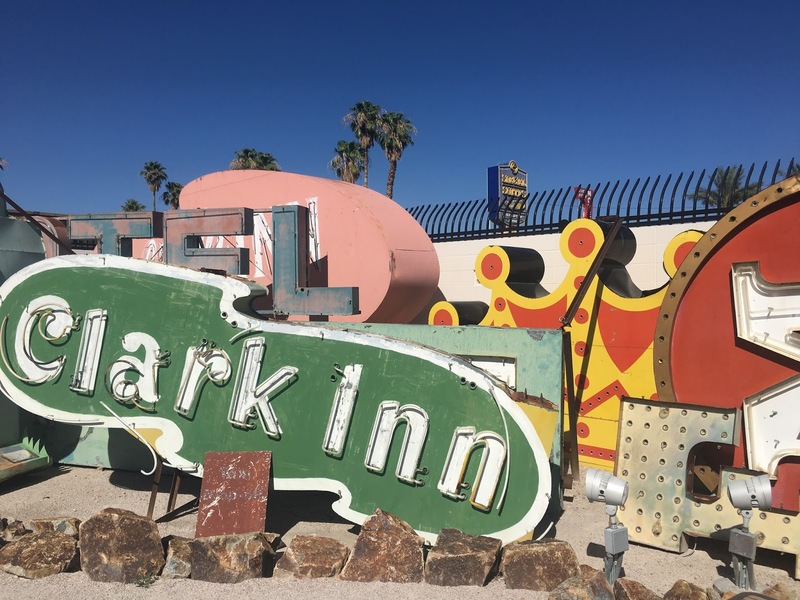 The Neon Museum really made me think about and visualize the Last Vegas timeline: beginning as an unruly railroad stop between Salt Lake and California and evolving into the theme-park of capitalistic debauchery that it is today. 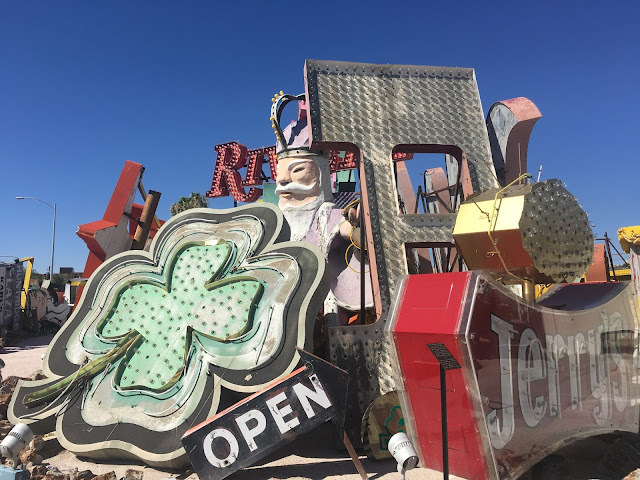 My favorite tidbit that I learned is the term Googie architecture, which I previously referred to as "like The Jetsons." 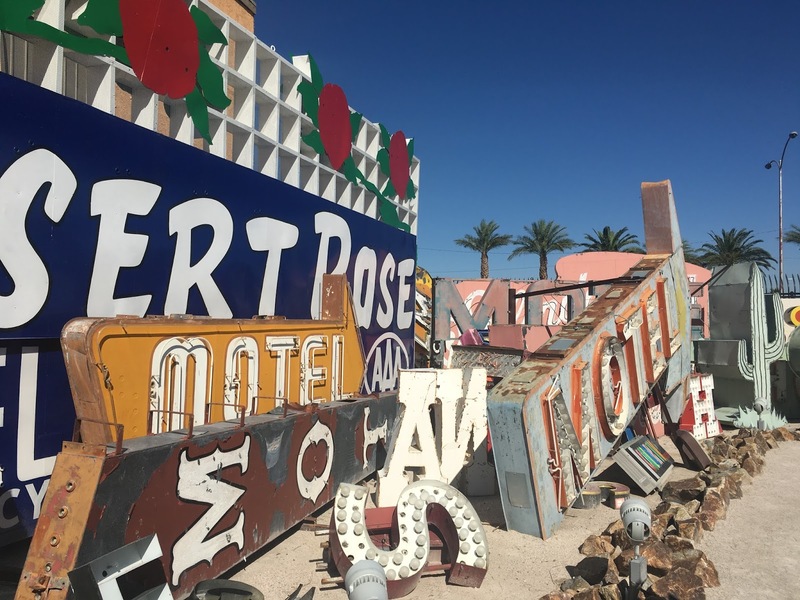 Our tour guide recommended the PBS documentary, Restoration Neon, which I would like to watch immediately. 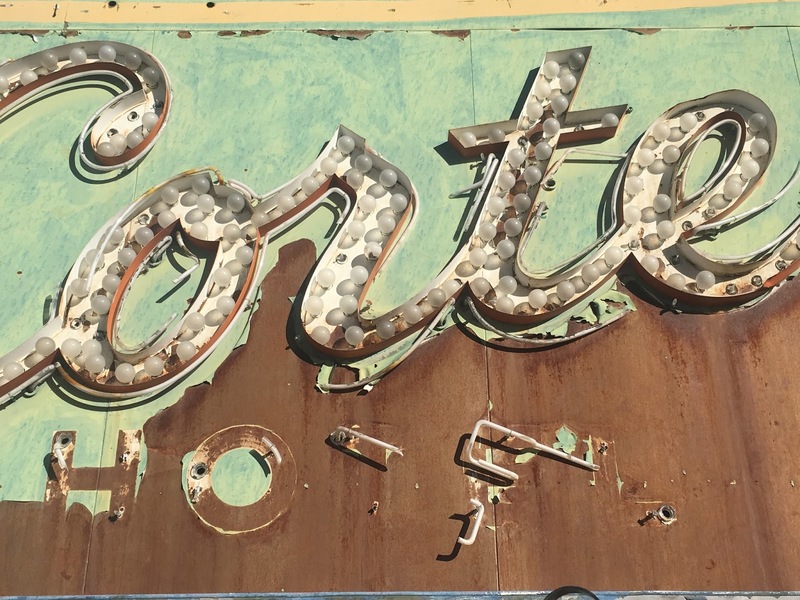 Also, I will be adding Become a Sign Designer for YESCO to my list of future aspirations. 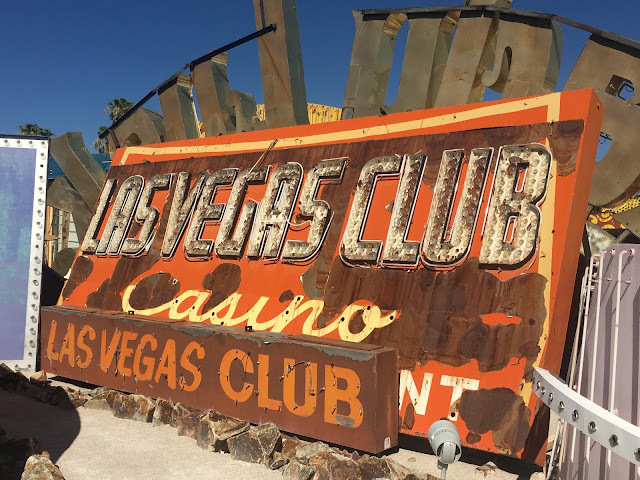 Never cared for a trip to vegas. 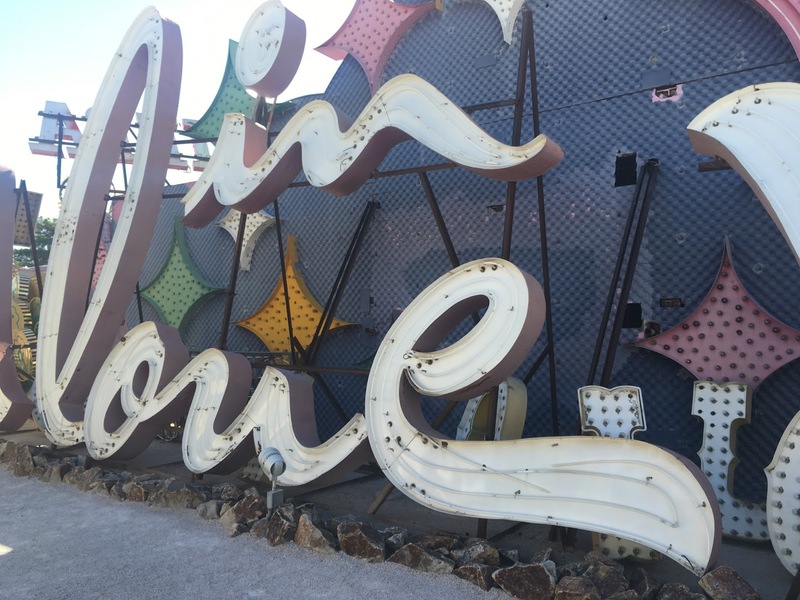 bit this might just entice me to go.